Faerch Plast UK has collaborated with three major retailers, Marks and Spencer, Tesco and Sainsbury’s, as well as recycling and waste management company, Viridor, to put recycled black plastic into new food grade packaging in a project welcomed by Environment Secretary, Michael Grove. Starting in July 2018, the result will initially see 120 tonnes of black plastic, the equivalent to eight million items recycled each month. The volume of material will be steadily increased over the next 18 months with Viridor’s plastic recycling facility at Rochester in Kent. 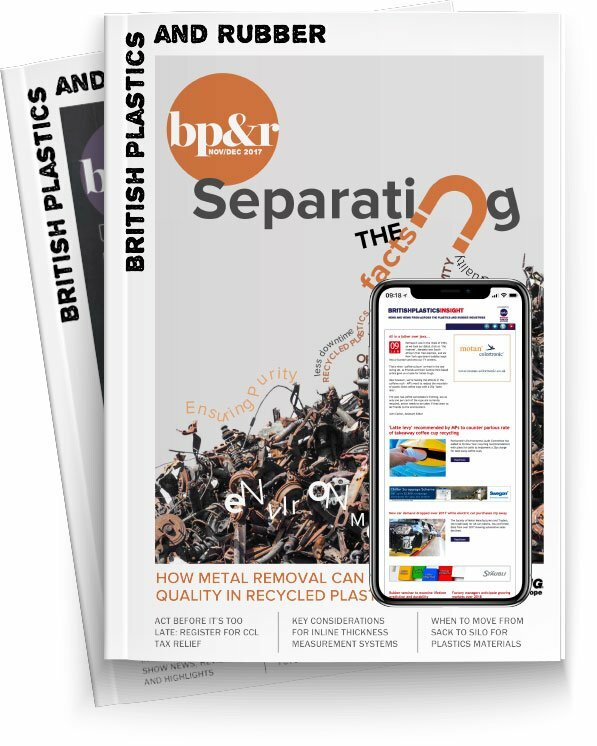 From July, Viridor will start putting this material through the new process, adding black to the coloured plastic stream already recycled and the flakes and pellets will be taken to Faerch Plast’s manufacturing facility in Ely, Cambridgeshire where it will be used in new packaging solutions. “The project team, working together since January, has proven that black plastic from household mixed waste recycling can be recycled into high quality mixed coloured ‘jazz’ flakes to create food grade packaging,” said Paul Ringham, Viridor’s Commercial Director.